Dear J-------, thank you for the questions. I hope I may be able to answer them satisfactorily, or at the least contribute something to the discussion. In addressing your first question concerning whether God gives us commandments that we cannot keep, if I understand Scripture correctly I would have to answer "yes": God gives us commandments that we cannot keep. But this is obviously a very nuanced "yes", for the matter is not so simple. I base my "yes" upon passages like Romans 7:14--24, 8:4, Galatians 3:21, etc. "For to will is present with me, but how to perform that which is good I find not." "If there had been a law given which could have given life, verily righteousness should have been by the law." When God gave the law to Israel He knew Israel would not be able to obey it. God, who knows our natures, knows that the sin that dwells in us cannot be overcome by the will and power of men. So why then did God give the law? It was given in order to show us this truth, or more correctly, to show us our true selves. Man is stubbornly ignorant of his own sinful nature and lack of goodness, but the law puts him in the balances and finds him wanting. The law is beautiful to man (because we are made in the image of God), and though man desires to adhere to it in his mind, upon trying he discovers that there is more to his nature than meets the eye. He discovers sin within himself: that is, an even stronger desire to rebel and resist authority; a desire to exalt himself above everything else. This is the discovery Paul is explaining in Romans 7. It is not that this discovery leaves man with an excuse for his sin; it rather shows man how wretched he really is. Man is a divided being, and the evil part is the strongest. He can't blame anyone else because it is the revelation of himself. "I want to do good, but I also want to do bad, and the bad is what I do, even though I know in my mind that the good is good and the bad is bad! Oh, I am a despicable creature that deserves condemnation!" So the law could not be kept by man, since man by nature was not strong enough to overcome the sin within himself. God knew this. Yet in another way, all the commandments of God (the moral imperatives of the law) can be kept by man, and God knew this too. But it could never be kept by man in his default state. It would take a new revelation of grace that would enable man to be free from sin and enable him to use his body for the glory of God (Rom. 6:2-14). "For sin shall not have dominion over you, because you are not under law but under grace." Ironically, the law is what stirred up sin and gave sin its strength (Rom. 7:5, 1 Cor. 15:56). Only by being free from the law can man overcome sin and keep the moral imperatives of God. Being free from the law is the key, says Paul. God knew this when He gave the law. So in another sense, God did not give us commandments that we couldn't keep, but we cannot keep them under the law, only under grace. Therefore, until the revelation of grace is given, a man cannot keep the law, it is impossible. But let us remember that regarding this impossibility, man has only himself to blame. However, being made free from the law, he is now able to bear the fruits of holiness to God. Man can truly live the life of love that God commanded. This is what I understand the answer to your question is. It is a nuanced "yes", or perhaps a "yes and no". We need to guard against simplistic answers since the Bible does not give us a simplistic answer. As for your second question regarding the mind and the will, yes, I definitely elevate the mind over the will, but this shouldn't be surprising. It is a matter of fact that our wills are subservient to our minds; that is, I could not possibly will anything unless I had something in mind to will about. 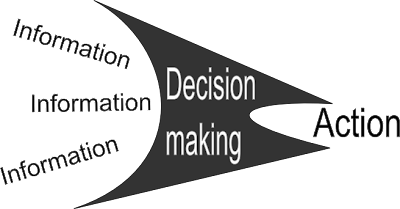 Information comes into my mind through my senses, and I then have desires and make decisions based upon that information. So the mind comes before the will, and what is in my mind determines what I will. This, I believe, is proven beyond doubt in Scripture. Take Hebrews 11, for example. Everything those people did was "through faith"; that is, it was because of what they believed that they acted the way that they did. See how Moses refused one thing (a very pleasurable thing) and chose another thing (a rather uncomfortable thing), not because he was strong-willed per se (what does that mean anyway, being alone? For a strong will is due to a strong mind), but because of faith: he "esteemed" Christ greater riches than the treasures of Egypt. He "had respect" unto the greater reward. It was clearly the activity of Moses' mind that determined the activity of his actions. It is of deep interest that the Greek word for "had respect" literally means: "to turn the eyes away from other things and fix them on some one thing." (Thayer's Greek Definitions) Verse 27 confirms this by saying that "he endured, as seeing Him who is invisible." This was faith. Moses believed God, saw by faith that Christ was greater riches than the treasures of Egypt, and therefore refused the one and embraced the other. So the will is subservient to what is in the mind. If you think the treasures of Egypt are greater than Christ then you won't forsake Egypt. We need to realize that our behavior ultimately depends, not upon our will per se, but upon our minds. I see this all over the Bible. If we want healthy churches, we will inform people's minds, teaching them the life-producing truths of the gospel, and fill their minds with the glory, beauty and value of Christ. If we want unhealthy churches, we will skip over or devalue the mind (as is so often done in churches) and emphasize the will as the key. People will feel inadequate and guilty when they fail (and they'll fail), and they'll conclude that they just are strong enough to live the Christian life. But the whole point of Scripture is that they aren't strong enough to live the Christian life (that is, to just look at law and do it), and that they need to be strengthened from outside themselves ("I can do all things through Christ who gives me strength"). According to Paul, it is by the truth that we are loved, forgiven and freed from the law that we have victory over sin. It is only by fixing our eyes on Christ and on the grace of God that is brought to us in Him that we are strengthened to live for God. That is Paul's point in Romans 6-8, isn't it? Putting this truth in your mind is the key to the Christian life. "Likewise reckon yourselves to be dead indeed unto sin, but alive unto God through Jesus Christ our Lord. (Rom. 6:11, see also Rom. 8:5-6, 12:2) When I set in mind that I am not under the law through the death of Christ, the law no longer stirs up rebellion within me, but I am overwhelmed by the love of God, and cannot help loving Him back without pressure and without fear. This brings victory over sin. This is faith working by love. Of course, your question is a good one. How do we go about the task of reckoning? Even if we grant that the mind is the key, isn't the will required to shift the mind into gear? It is true, the will is required to turn our minds unto this gospel truth that sets us free. We are also exhorted in Scripture to be diligent about doing this. However, we must not hastily come to a conclusion and say that the will is therefore the first and main thing. We must see that the mind and the will work in levels. Yes, I must will to set my mind on the gospel truth; but even to will this I must have an understanding in my mind beforehand. As discussed earlier, I can will nothing without my mind. I must be informed; I must know that setting my mind on the truth is the key to the Christian life. So my knowledge about the key to sanctification will instruct my will to set my mind on the gospel truth. We have to recognize another factor in life: that of hearing. If I have misinformation, or a lack of information, I will spend my days according to my uninformed mind, and my uninformed mind will determine my will. Maybe I think the will is the key to sanctification: so then I shall seek to will to obey the commandments, and fail. But if I have been taught the Scriptures, that the mind is the key to sanctification (that is, setting your mind on the truth of the gospel, that I am not under law, etc. ), then I shall will to remember, and be diligent to reckon daily. So the mind always determines the will, but there are levels, and at the bottom of it all is information gathered (or Biblically, "hearing"). This is also why we need each other, to remind each other daily of the truth. I hope that makes sense. It is actually standard operating procedure for the human psyche. I don't believe the Bible presents us with an unreal category of living that is other than the way God made us. What makes this so powerful and spiritual is the content of what we believe. It is the truth - the content - that makes Christianity so powerful, not my operating procedure. Just like we would say that it is not our faith that is anything special, but the object of our faith; it is not my faith that saves me, but Jesus Christ. My faith simply connects me to the power.